approximately 8 % market share. 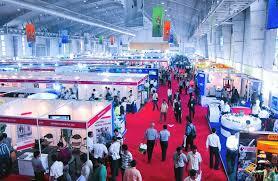 Asian Business Exhibition & Conferences Ltd. is a major player in the Indian Exhibition & Trade Fairs Industry. Currently, ABECL is the Largest Private Sector Organizer in the Indian Exhibition Market with approximately 8% market share.